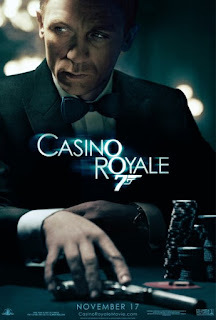 The identity of the actor playing the next James Bond seems to be one of those subjects that can still cause people not to speak with each other after all this time. Long before the Doctor or Mad Max had different faces, the Bond series changed from Sean Connery, suddenly to George Lazenby, back to Connery and then to Roger Moore. Each brought their own take to the character, and unfortunately often bore the blame for horrible directorial and studio decisions. That is why many remember how horrible Moonraker was while forgetting that The Spy Who Loved Me and For Your Eyes Only were some of the best in the series. 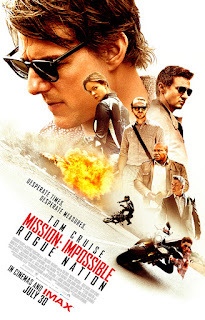 I was a big fan of the original Mission: Impossible series. Of course, I'm not old enough to have seen it when it was first on, but the repeats played quite a bit when I was a teenager. That was about the age to first encounter it, because the show largely focused on subterfuge and plot twists rather than major action sequences. I'm sure a lot of that had to do with budget, but sometimes being forced to think around corners when writing can be a wonderful thing. One of the first shows on Fox, back when it only broadcast on the weekends and after a certain time at night on UHF stations, was The Ben Stiller Show. It had not only great comedy bits, but often satirized how Hollywood and advertisers viewed Generation X. The show lasted a short time, but it left a lasting impression that there was at least one comedian that "got us." That was, until, the typical Hollywood Gen X treatment that was Reality Bites. Since then Stiller has been hit and miss. I never bothered with the Zoolander movies, but loved his part as the evil gym owner in Dodgeball. The Cable Guy is arguably one of the worst movies of the '90s, though. 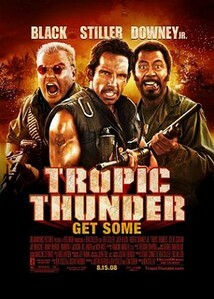 So here I find myself surprised that Tropic Thunder has become a cult film for a number of Millenials. It should not be that surprising as it is the only movie that lived up to the promise of his original show.